The history of Marchesi di Barolo began in 1807 with the love story between the Marquis of Barolo, Carlo Tancredi Falletti and a French noblewoman, Juliette Colbert di Maulévrier. A winery, in the heart of the Langhe area and protected by gentle hills, where a wine was born: a wine called Barolo like the town where it was produced for the first time. No one at that time could imagine that it was destined one day to be king: the King of Wines, the Wine of the Kings. After the death of Marquise Giulia in 1864, the line of the Falletti family came to an end, with the legacy living on through their charitable foundation: Opera Pia Barolo. Thanks to his strong dedication to his work, in 1929 Pietro Abbona was able to buy the Agency of Holdings of Opera Pia Barolo together with his brother and sisters. 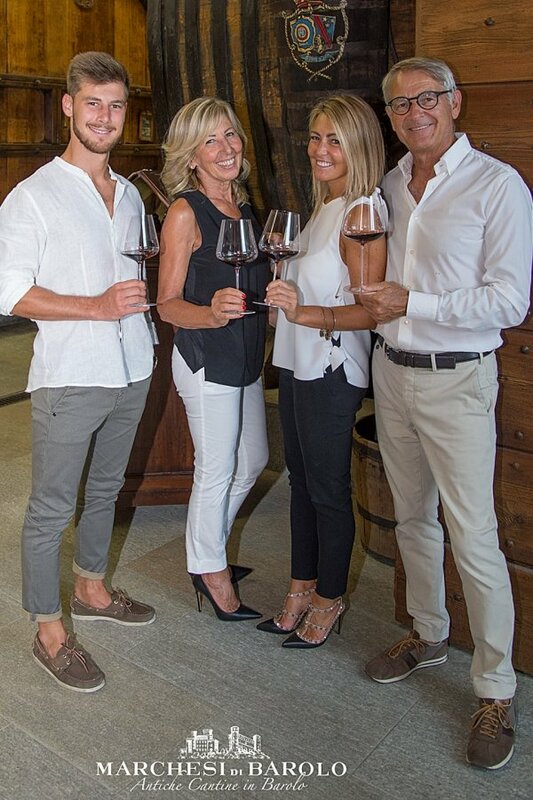 At present, Marchesi di Barolo remains a family business: fifth generation Anna and Ernesto Abbona and their grown children, Valentina and Davide, firmly believe in the original and distinguished wines produced in this region, characterized by a number of highly prestigious native vines and unique soil composition.